Benefit your skin with what you eat! What you put on your skin is helpful, but did you know it matters more what you put in your body? Your diet can directly affect your skin from the inside out. 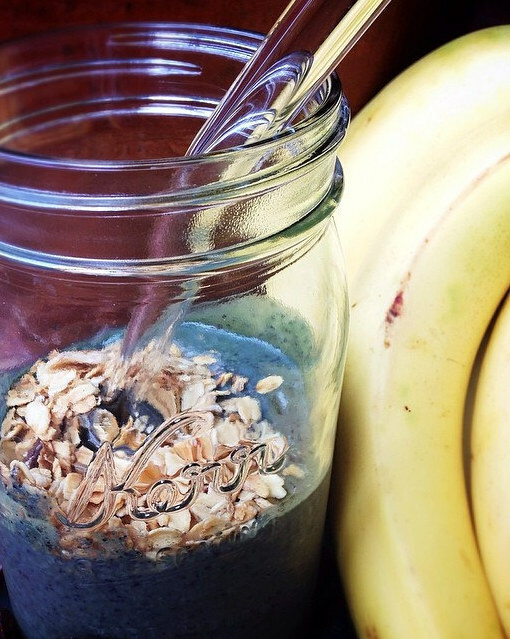 This smoothie can start improving your skin from the moment you wake up! 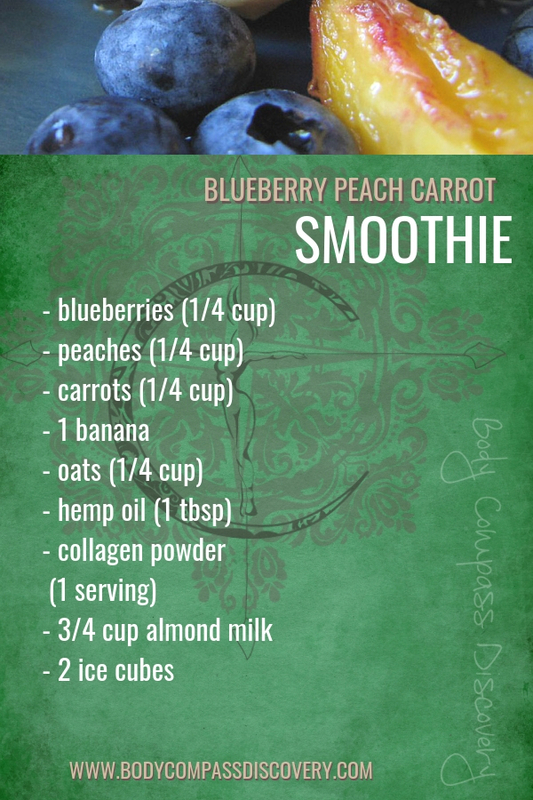 In the smoothie I have blueberries, peaches and carrots. Did you know all three of these are beneficial for your skin? These select produce can give life to tired looking skin, eliminate impurities like blemishes and reverse the signs of aging. Drink up! I make sure to get all three of these in to my diet on a regular basis. You can use any kind of protein powder for this smoothie, but I started taking a collagen powder and highly suggest adding that in to your diet. It’s recommended to get about 50 grams of protein daily, so I always start with a boost in my morning smoothie! Collagen is absolutely wonderful for your skin! 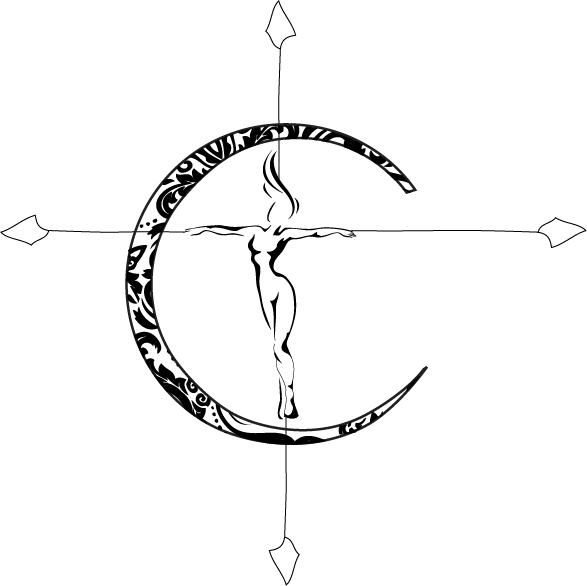 The brand I have been using for months now is Bulletproof. You know I love sneaking a veggie (or few) in to my smoothies so this one includes carrots. It’s definitely not the first I have made with the combination of carrots and peaches though! I really feel like these two pair well together, plus then you get a serving of both fruit and vegetable. You can check out my peach carrot hemp smoothie and read all about the benefits of hemp, or try another peach carrot oatmeal smoothie I made. I even baked them together in my peach carrot baked oatmeal recipe if you are looking for a breakfast prep idea! 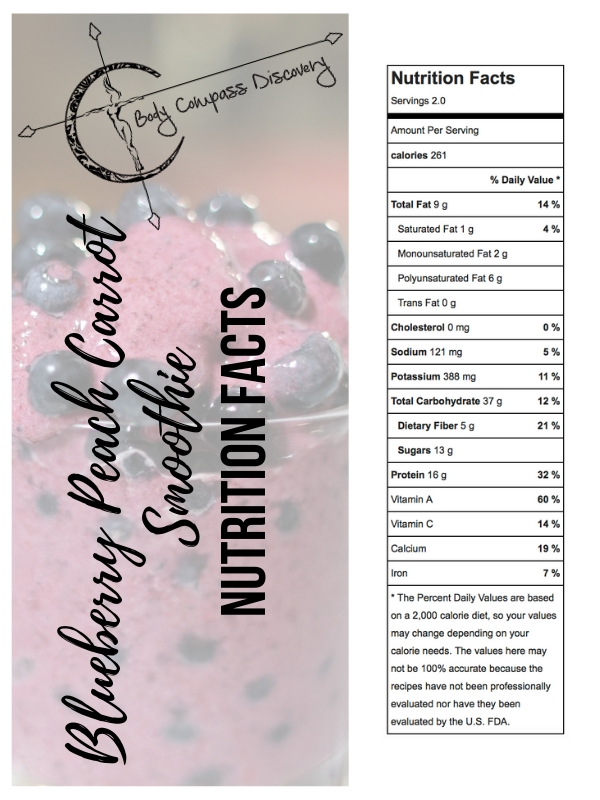 Want to know why I love blueberries in smoothies? They are probably the most common ingredient in my blend recipes (along with a banana) because they are low in calories but very high in nutrients. Packed with antioxidants and a good amount of fiber, these little berries can do wonders for you! 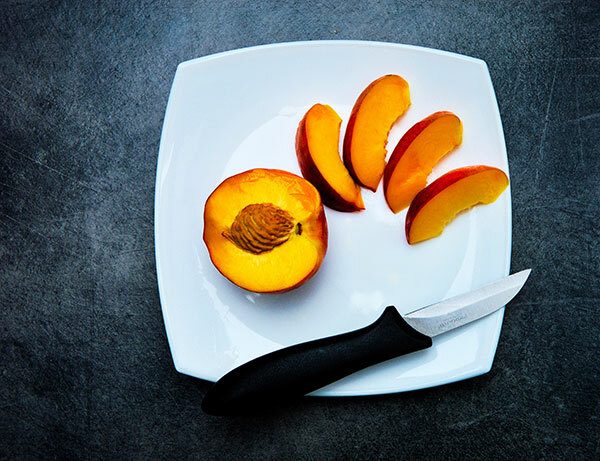 Although they are tiny they can have a big impact, like preventing urinary tract infections, heart disease and even Alzheimers while improving your digestion and brain function. Load ’em up! 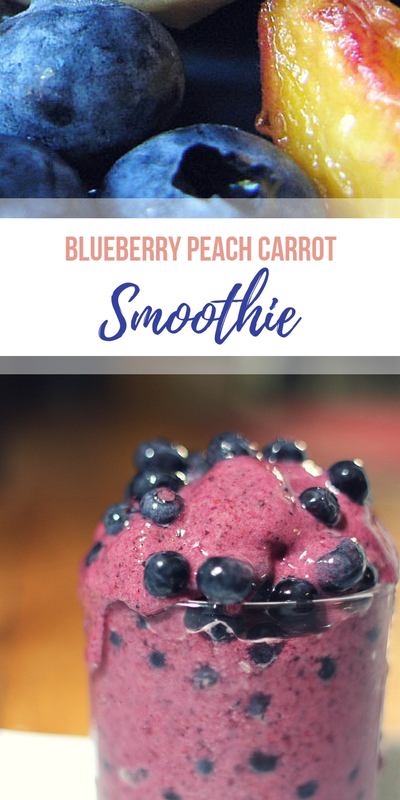 Get blending with this blueberry peach carrot smoothie and enjoy a delicious breakfast that keeps you full and provides a lot more than just a satisfying meal on the go!